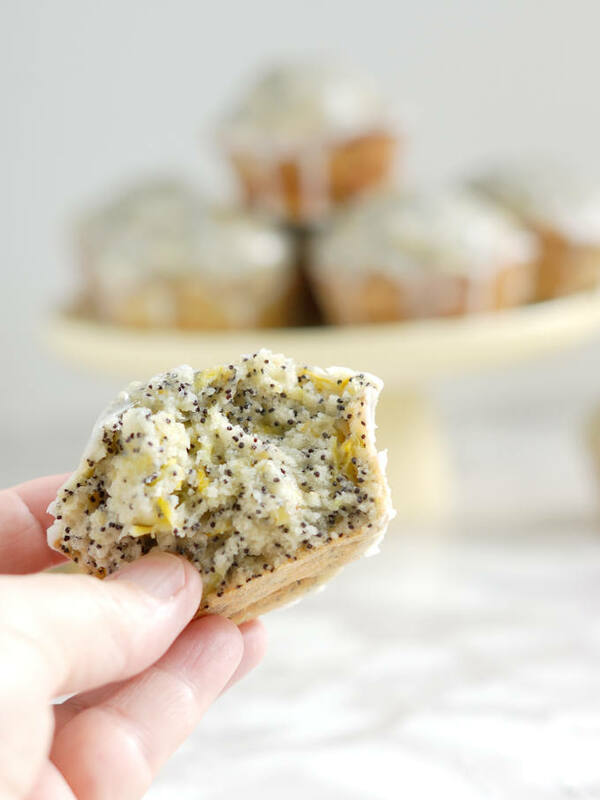 Summer Squash Lemon Poppy Seed Muffins are a new riff on the traditional lemon-poppy seed muffin. 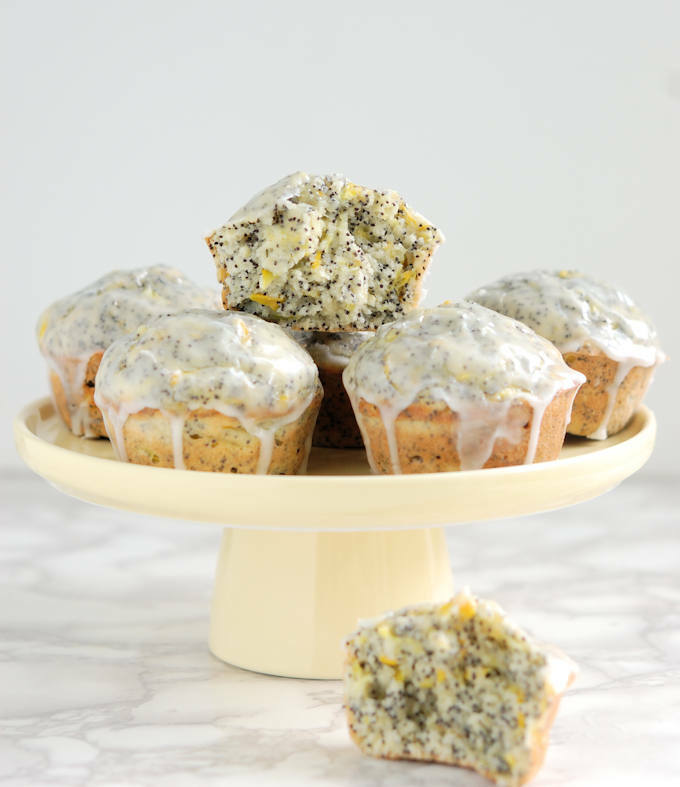 Shredded summer squash adds lots of moisture and nutrition to the muffins. And that sweet-tart lemon glaze on top? Oh my! 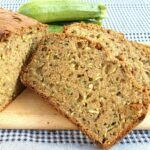 There are only 20,000,000 internet search results for “Summer Squash Muffins”, as opposed to the 65,000,000 results for “Zucchini Muffins”. I know because I Googled it. So it looks like the world needs a new summer squash muffin recipe, no? There’s that, plus I’ve got loads of both zucchini and yellow squash in the fridge. 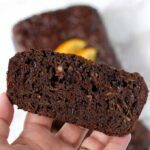 Since I just posted a new Chocolate Orange Zucchini Bread recipe, I figured I do a version of the same recipe using yellow squash for a change. 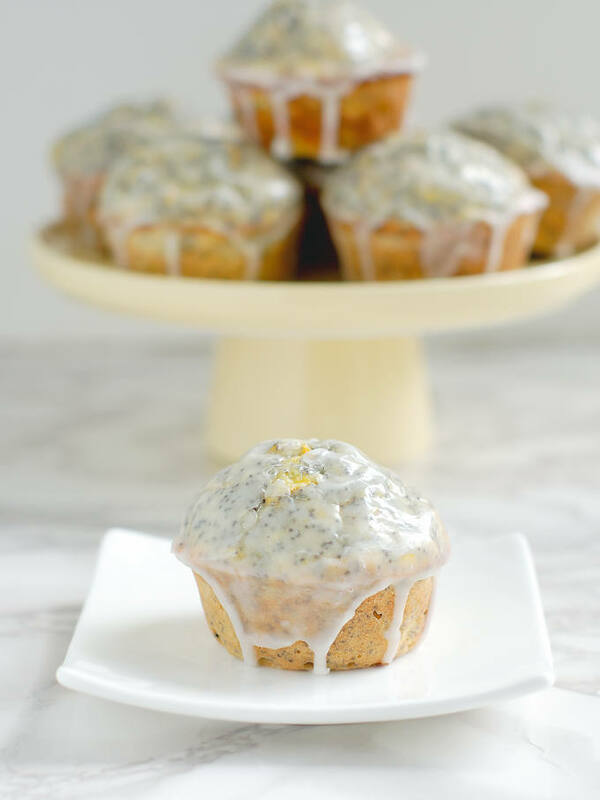 Well, maybe the world doesn’t need just another squash muffin recipe, but this recipe has lemon zest, crunchy poppy seeds and a sweet/tart lemony glaze to make them extra special. This recipe is one in 20,000,000, if I do say so myself. 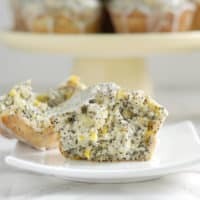 If you compare the ingredients for these Summer Squash Lemon Poppy Seed Muffins to the ingredients in the Chocolate Orange Zucchini Bread you’ll see that they are really the same recipe, with just a few minor changes. Obviously, I used yellow squash instead of zucchini. That’s an easy 1:1 trade off since both veggies have the same texture and water content. But the flavors are a little different. I find the summer squash brings a slightly more noticeable flavor to the batter than the zucchini does. I eliminated the cocoa from the recipe and replaced it with the same amount of flour. As I’ve mentioned in other posts, in most recipes you can replace a portion of the flour with cocoa to create a chocolate version of the recipe. Well, the same is generally true in the other direction as well. You can replace the cocoa in a recipe with flour to de-chocolatize the recipe. 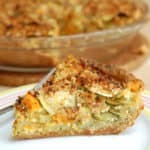 Inspired by the lemony-yellow color of the squash, I ditched the spices in the original recipe and added lemon zest and poppy seeds for a different flavor profile. 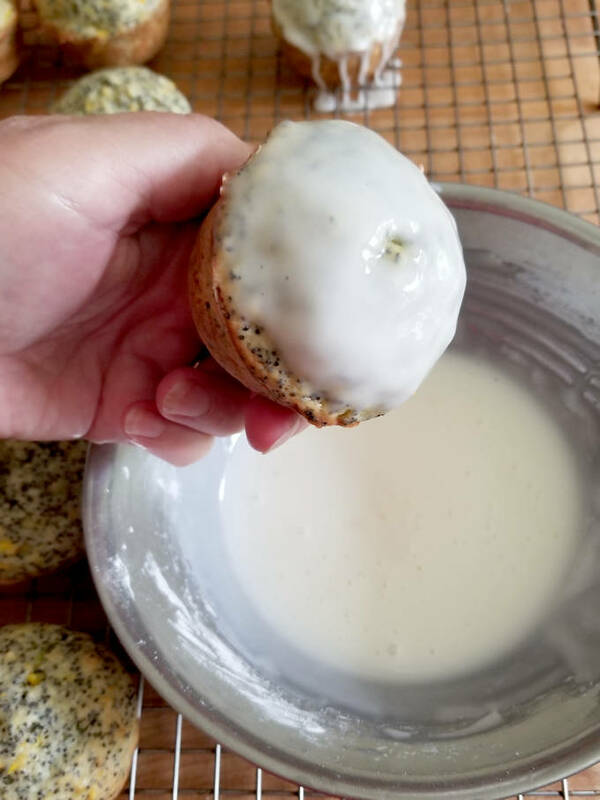 Speaking of those poppy seeds….If you’ve ever made a poppy seed cake or muffin you’ve probably seen the instruction to soak the poppy seeds in milk or water. A while ago, as I was testing the recipe for my Triple Citrus Poppy Seed Cake I did a little kitchen experiment. 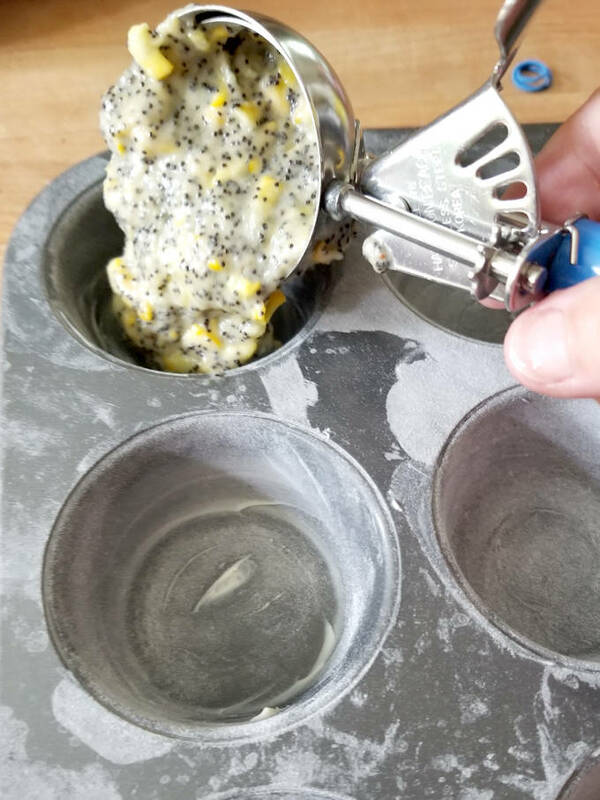 I was wondering if it was really necessary to soak the poppy seeds before adding them to the batter. I wanted to know if it really makes any difference to the taste or texture of the cake. Spoiler alert! I obviously decided it was worth the time since I included the step to soak the poppy seeds in this recipe. 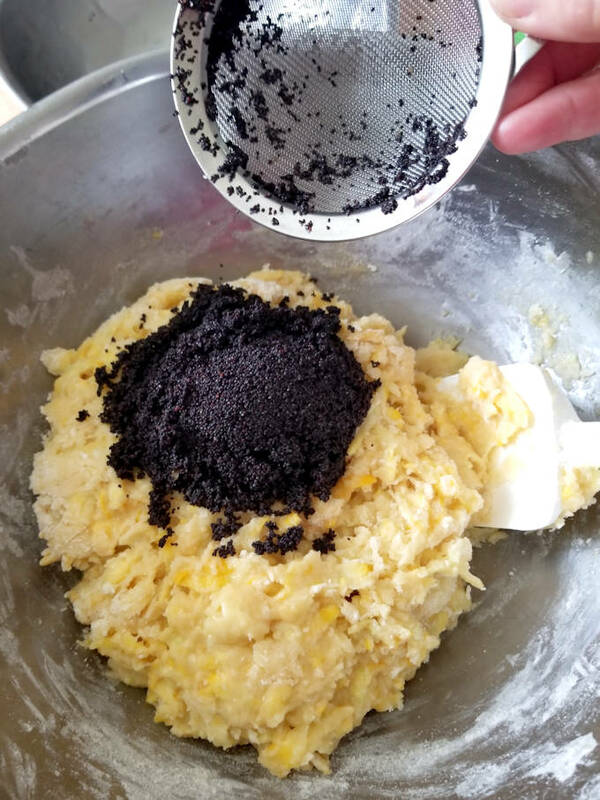 Go ahead and click over to the Triple Citrus Poppy Seed Cake post so you can read about my experiment. Sometimes these little steps do make a difference. 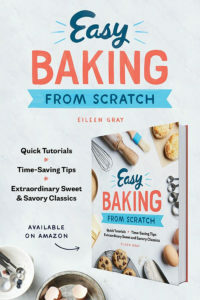 Are you a baking geek like me? 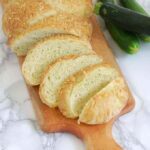 Then I’m sure you can appreciate how just a few simple changes to one basic recipe can yield two very different, yet equally delicious, treats. Once again proving that baking is both an art and a science. 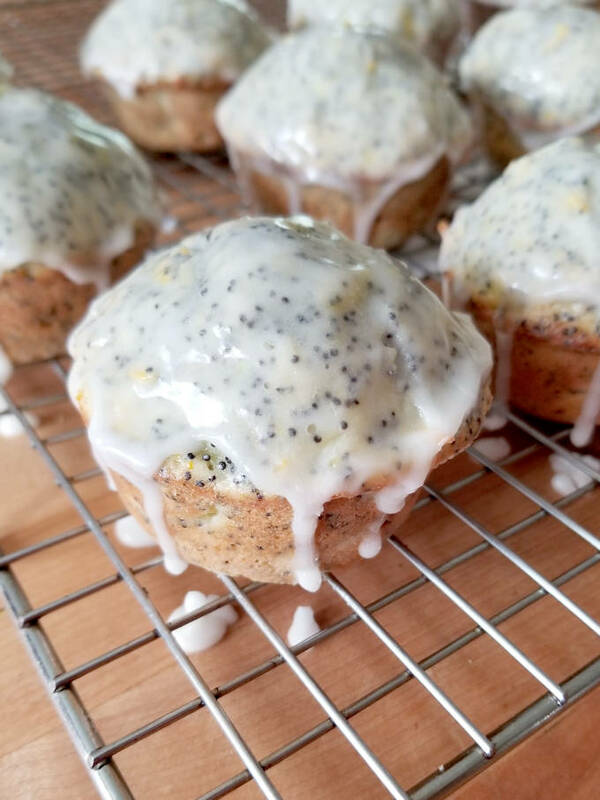 A new riff on everyone's favorite lemon poppy seed muffin. 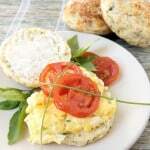 Shredded summer squash adds lots of moisture and nutrition to the muffins. Preheat the oven to 350F. 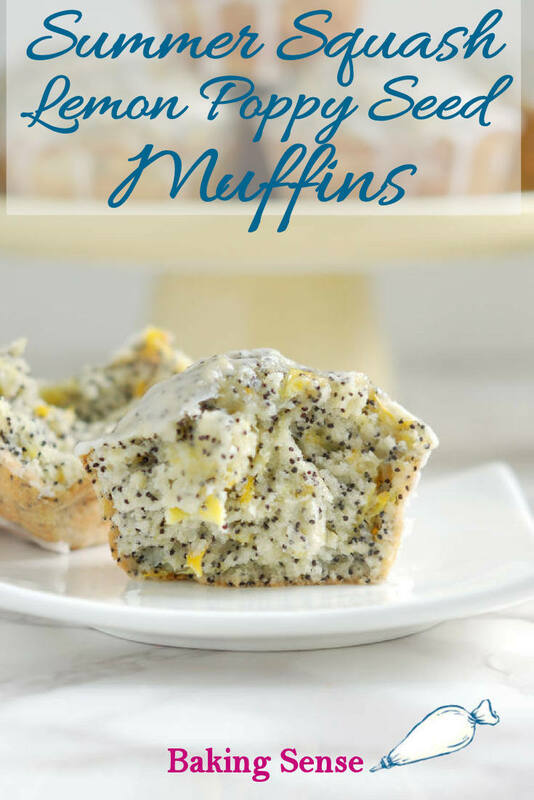 Butter and flour a 12 cup muffin pan or line with paper cupcake liners. Use the large holes of a box grater or the large grating disc of a food processor to shred the squash. 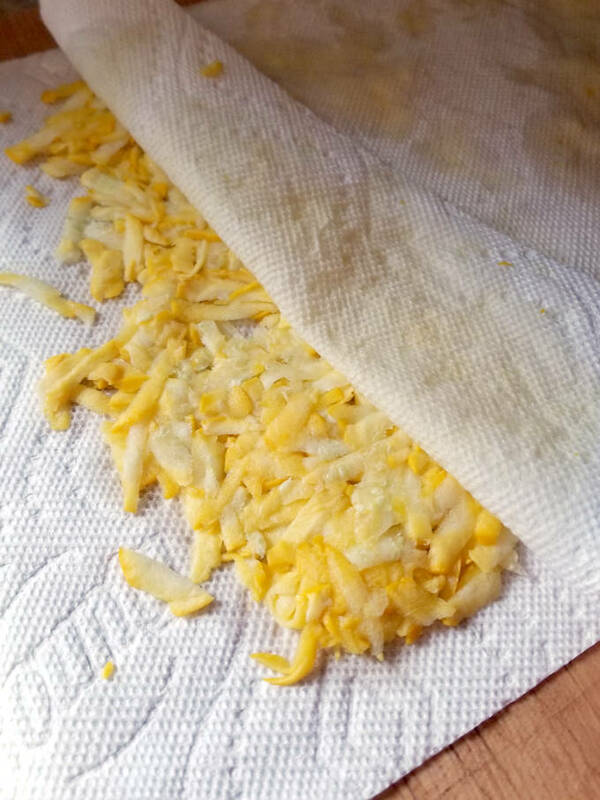 Spread the squash in an even layer on a paper towel and cover with another paper towel. Press to absorb the liquid. Let the squash sit while you mix the batter. Combine the flour, baking powder and salt in a mixing bowl and whisk to combine. Add the sugar to the dry mixture and toss to incorporate. In another bowl, whisk together the oil and eggs. Stir the squash and lemon zest into the wet ingredients. Add the wet ingredients to the dry ingredients all at once and stir just until combined. 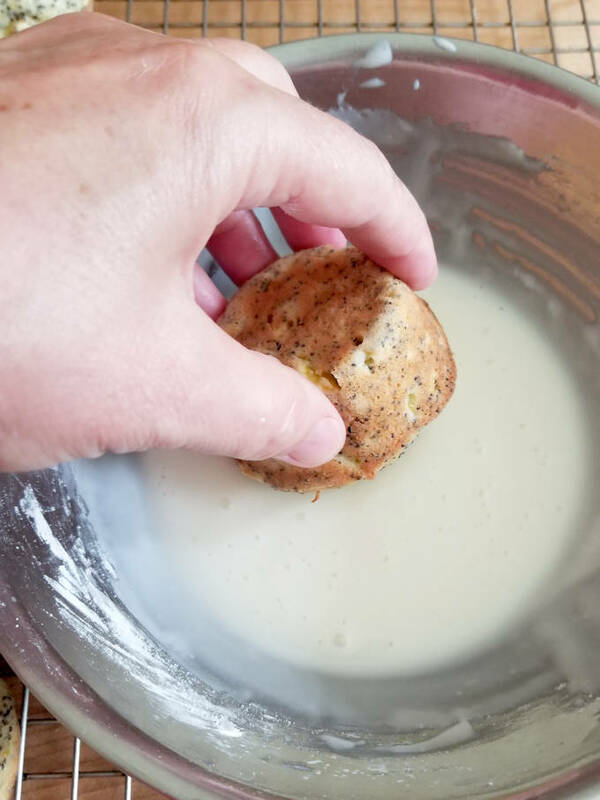 Drain and rinse the poppy seeds and fold them into the batter. While the muffins bake, combine the lemon juice and confectioner's sugar to make the glaze. Cool the muffins in the pan for 5 minutes. Lift each still-warm muffin from the tin and dip the top into the lemon glaze. Set on a cooling rack. The glaze will set as the muffins cool. You can skip the step to soak the poppy seeds if your in a hurry. 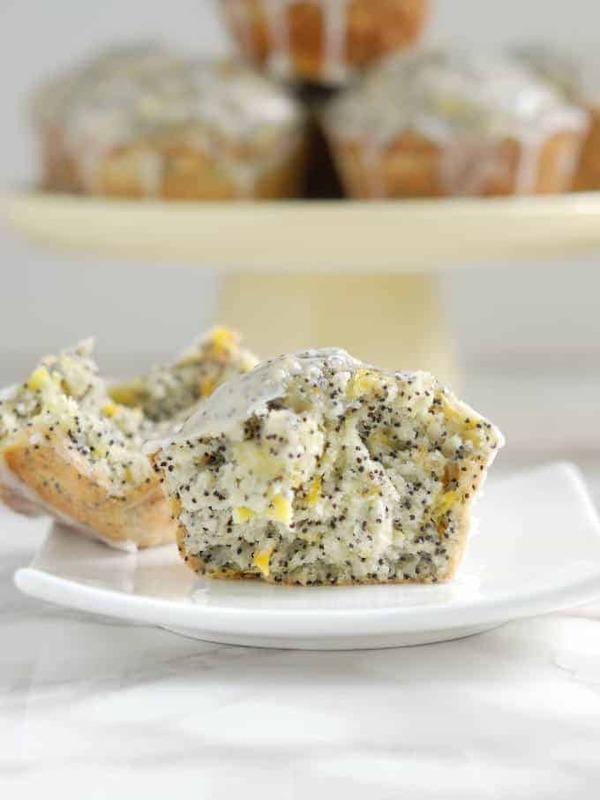 But myrecipe testing has shown that soaking the seeds in milk improves the crunch and flavor of the poppy seeds. 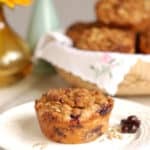 Wow – these muffins look exquisite…so moist and fluffy! I’ve never heard anything about soaking poppy seeds before, but I’m definitely intrigued. 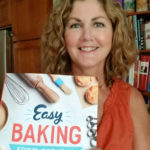 Looking forward to trying the recipe! Hi Jane. Thanks for catching that. It should be granulated sugar.